Name : OOO "Hoenn Combo"
All Pokemon gain 10 Hp during your turn. 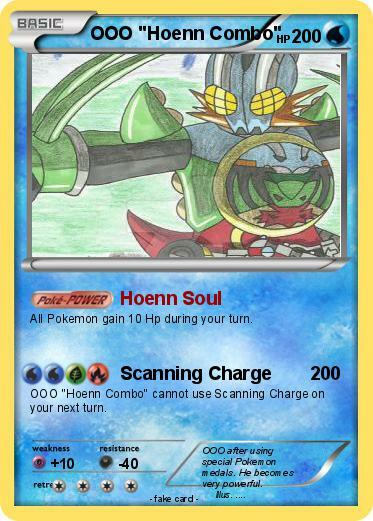 OOO "Hoenn Combo" cannot use Scanning Charge on your next turn. Comments : OOO after using special Pokemon medals. He becomes very powerful.